The September 17, 2015 issue of the Troy Times-Tribune is now available. 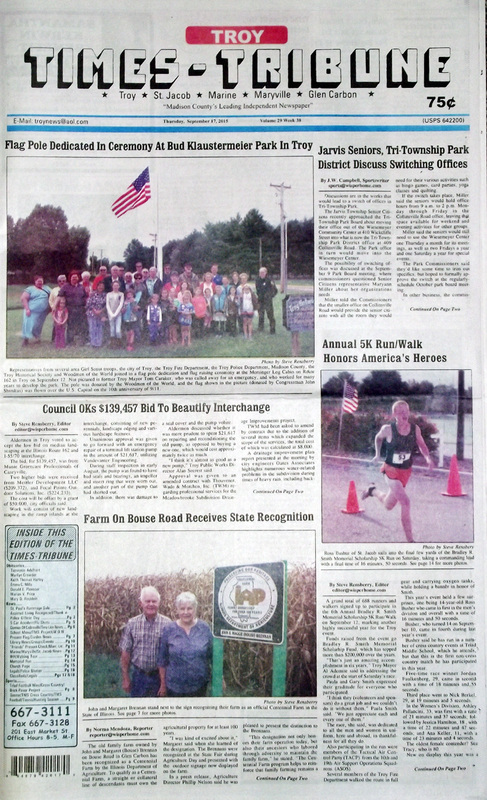 Some of the headlines in this issue: Jarvis Seniors and Tri-Township Park Discuss Switching Offices, Council Oks $139,457 Bid to Beautify Interchange, Farm on Bouse Road Receives State Recognition, Annual 5K Run/Walk Honors America's Heroes, National Assisted Living Week 2015 Recognized, Proclamation Issued for “Thank a Police Officer Day,” Five-Car Accident in Troy Snarls Traffic on Route 40, Local Mensa Member Continues to Surprise, No Body Cams for Maryville PD, Triad Wins 14-12 Defensive Battle in Mt. Vernon, Soccer Team Goes 2-1 During 3-Game Stretch, Troy Historical Society To Host Walking Tour; plus we have a full page of photos of the Bradley R. Smith Memorial Run/Walk, an editor's column about job opportunities, and lots more! 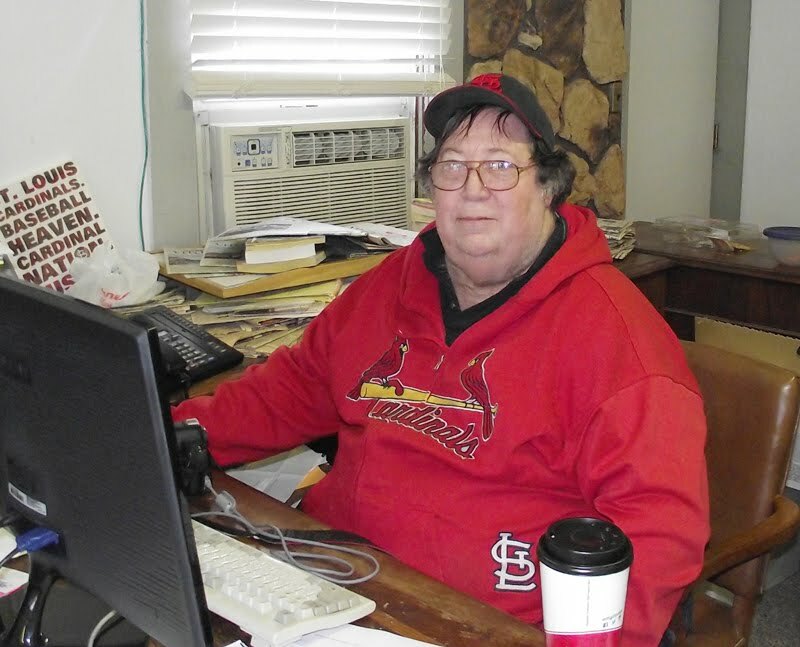 This edition has obituaries for Tameysin Adelhart, Marilyn Crowder, Keith Thomas Harley, Emma C. Mills, Donald E. Ploesser, Marian V. Price, and Mary D. Recklein.